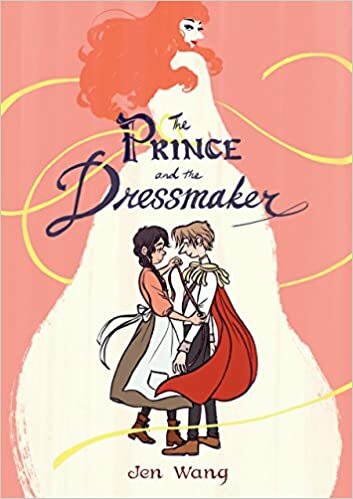 The first of our Mock Caldecott selections up for review is Jen Wang’s “The Prince and the Dressmaker”. Set in Paris at the turn of the century, this graphic novel is part realistic fiction, part fairy tale and wholly delightful. Not only is the story exquisite, expanding on all of the wonderful fairy tale tropes with which audiences are familiar, but the visual storytelling is truly remarkable. The first season of the Daredevil TV show was released on Netflix last month. For the uninitiated, Daredevil is a street-level superhero who was blinded as a boy when a radioactive isotope was splashed in his eyes. His other senses were super-heightened and gave him a sort of radar sense. Comics, everybody! He became a lawyer (after he grew up, not some Doogie Howser nonsense), and also became a ninja. Yeah. He wears all red, but is basically Marvel’s Batman. I inhaled the first season and was soon forcing it on others with a zeal. But it was over for me, and I had a Daredevil shaped hole in my heart. That hole was filled with comics. Brian Michael Bendis had a 55 issue, Eisner Award-winning run on Daredevil in the 2000s, and it has been collected into three Ultimate Collection volumes. Volume 1 is an excellent place to start if you’re looking for more about the Man Without Fear. “Wake Up” is the first story in the volume, and it’s surprisingly low key. Matt Murdoch or Daredevil are not in it much. Instead the focus is on Ben Urich, the journalist who is heavily featured in the show. He’s investigating a young boy who’s catatonic after his father, a low-level Daredevil villain named Leap Frog, goes missing. Urich is sure that Daredevil has something to do with the boy’s current state and seeks him out. David Mack provides beautiful painted art for the story. I highly recommend Daredevil by Brian Michael Bendis Ultimate Collection Volume 1 and the rest of the volumes to anyone who is suffering from a Daredevil hangover.